Ladakhis call it 'layna', the pride of this remote Himalayan land, among the highest, driest and coldest in the world. Pashmis an Urdu word, originating from Farsi, for the raw fibre of down-producing goats in the mountains of Asia. Pashmina is the yarn spun and material woven from pashm. Ladakh's dry, cold climes are the secret to this famous fleece. Each midsummer Changpa nomads use a special comb to carefully extract the superfine fibre, allowing their goats' coats to thicken before the winter chill (it can reach -40C). This is the origin of Silk Chassis' Apsara scarves: 100% pashmina, un-mixed with silk, as is common elsewhere. 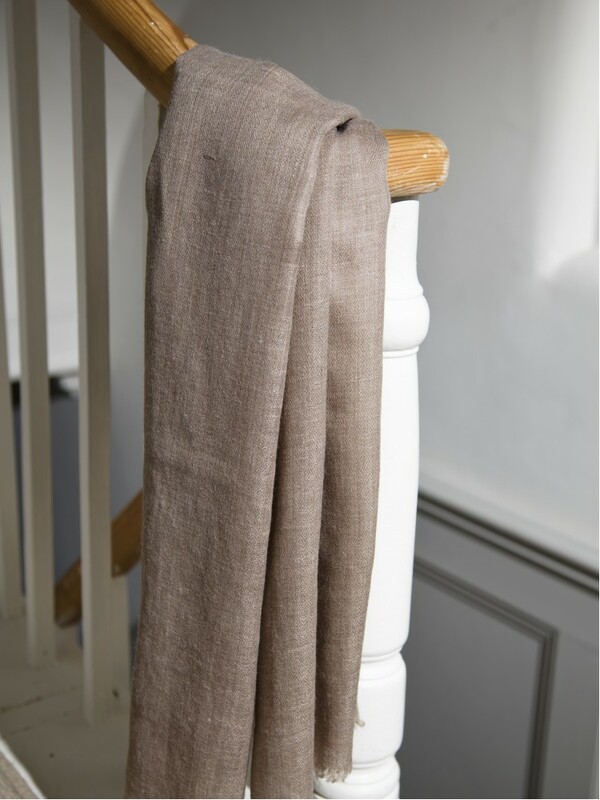 This, and the entirely natural colour of the pashm, carefully selected to tone, accounts for the subtle, matt look of these ethereal scarves. Handwoven by men and women, each Apsara scarf takes around a day and a half to complete. Previously, pashm went to neighbouring Kashmir, famous for its virtuoso shawl tradition. Thanks to technical innovations, today Ladakhis can weave their own pashminas from the revered goats of the Changpa nomads, who have been moving their livestock across the Changthang region for centuries. Apsara scarves can be dry cleaned or handwashed at 30°C. Do not tumble dry. 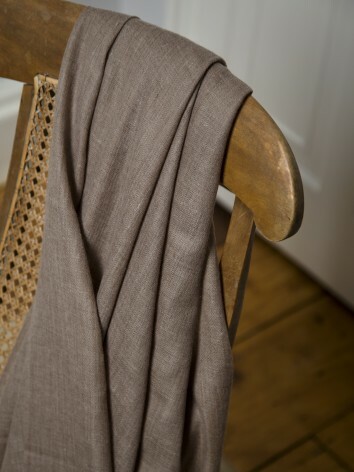 Warm beige or grey depending on your eye, this is Silk Chassis' most popular Apsara colour - testimony to its versality and subtlety. Earth works with a myriad outfits. Perfect for those seeking an understated style. And like all our pashmina, you'll be amazed at how soft, light and warm it is. 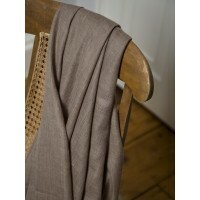 The quality and feel of the silk and wool scarves have been much admired. They are a joy to wear and the colours so vibrant. Thank you.